This is not a post about gun violence. With the holidays upon us I feel like it’s important to talk about “Trigger Stacking”. Everyone has things that stress them out. Traveling, relatives, the demands of cooking amazing meals, illness, things not going quite as planned or expected (such as getting lost), a big test, getting engaged or married, having a baby, you name it life can be stressful. Note not all of these things are bad things. Not all stress is considered bad but it elicits a stress response in our bodies nonetheless. Everyone also has a limit to how much stress they can cope with before they begin to show behavioral changes. Some people can handle more and some can handle less, this is individualized. This is often referred to as a threshold. 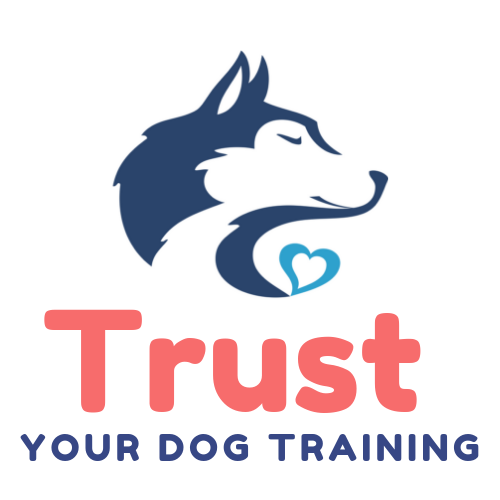 In dog training we might call this a “bite threshold” but being over threshold doesn’t always mean a dog will bite, it just means that they are unable to process any more incoming information in a meaningful way. Now most of the time when one of these things happen it’s no big deal and we can take it in stride. (With maybe the exception of marriage and babies, those are actually a lot of little stressors in themselves.) We continue about our normal day. However, when several of those things happen all at once or within a short time of one another it’s called “Trigger stacking” and can cause someone to “go over threshold”. Some people bawl, some people have verbal outbursts, some people become violent or aggressive towards others or inanimate objects. The above picture is a great depiction of trigger stacking. Here the person is driving somewhere. Along the way the GPS system may have stopped working – no big deal, they took a wrong turn – again no big deal, went thru a weird roundabout, and then found themselves on a switchback mountain (because they’re in Colorado driving up Lookout Mountain). All of those things together cause a “road rage” outburst at the next person who tried to talk to the driver. This happens to our dogs as well, especially during the holiday season! This is why dog trainers sometimes call this “bite” season. All year long “Fido” gets walks (regular exercise), meets people occasionally, meets dogs occasionally, there’s rarely extra food around, and the “owners” are happy. Life is good and balanced. However, over the holidays the dog’s exercise routine may be put on hold because of parties, travel, etc, there are relatives visiting often and for extended periods, maybe those people brought dogs of their own, there is food everywhere (if a dog is a “guarder” this is really problematic), and the dog’s owners are stressed out too – getting into arguments with family. With all of this going on, things that normally wouldn’t cause a dog to behave differently will now elicit unwanted behaviors. If you’re lucky your dog will avoid things and hide in a corner (think of the bawling person). However, most dogs get verbal they start to growl or bark at things they normally wouldn’t bark at and if they really get pushed they bite. If you start to notice these behaviors in yourself and your dog, do yourself a favor and take a break. Remove yourself, or your dog, from the situation and unwind a little bit. Maybe shut your dog in a room by himself with a bully stick or a stuffed KONG. Maybe take your dog on a long walk or hike to get him some exercise away from all of the stressors. It’s okay to take a break! Don’t make him (or yourself) “deal with it”. At least not right away. Get thru the holidays safely and then call a dog trainer to help you prepare your dog for next year.